Note: Here is a story from the Stories of the Third Brother. These are the tales of Alaren, the founder of the Way Between, and Ari Ara’s inspiration for many of her actions in her adventures. Thirty of these stories have been serialized into a weekly online release that comes with a free print or ebook when we publish the whole collection later in 2019. Find out more here. In the Stony Pass, north of the East-West Road, the two kings Marin and Shirar were building a wall. Two walls, in fact, because the kings were brothers and mortal enemies, and neither would cooperate with the other on anything – even on building a wall in the exact same spot. Stone for stone, back to back, the two walls rose like twin serpents through the border pass. The stone masons – a burly and dusty lot – shook their heads over the foolish pride of kings and shared mortar and tools with the opposing king’s craftspersons. By the time the wall was built, the Stone Masons Guild – the oldest international organization in history – was founded. But that’s another story. 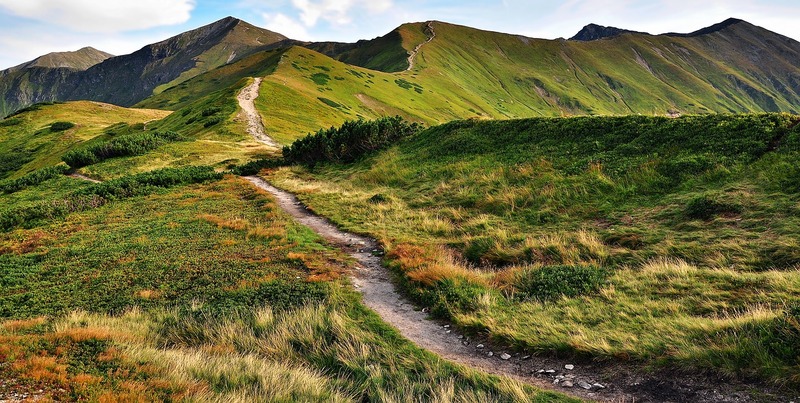 Alaren, the younger brother of the two kings, heard about the ridiculous double wall from the villager woman who hiked the narrow and winding footpaths through the Border Mountains to find him at his way station in the Middle Pass. Alaren’s Fanten wife added broth to the soup and broke out a fresh loaf of bread to feed the weary traveler. His young daughter poked fresh life into the fire to ward away the night’s chill as it clung to the shivering woman. But no. The brothers had built their walls straight through the village, splitting it in half like an apple. Families were divided. The village well – the only water source – was on the opposite side of the wall from the farmlands. The officials told the villagers to move to one side or the other, and when they refused – shaking their heads in disbelief at the nonsense – the two kings plunked warriors down on the walls to oversee the daily traipsing back and forth. The woman asked for Alaren’s aid. “Write to your brothers and talk some sense into them,” she pleaded. Alaren agreed, though he had his doubts that Marin and Shirar would listen to him. Sure as pigs roll in the mud, his brothers refused to move their walls one inch – unless it was into the other brother’s territory. Alaren – who didn’t believe there should be any sides to this great and beautiful world – sighed in exasperation. He bid farewell to his wife and daughter, and journeyed over the mountains to the village. He spoke to the villagers on one side of the wall. He spoke to their friends and families on the other. At dawn on the third day of his visit, Alaren picked up a stone that was sitting on the edge of the east side of the Brothers Wall and climbed up the steps to the guard post at the top. “Where do you think you’re going?” Marin’s guard challenged him. “Invading in the name of Marin,” Alaren said flippantly, tossing the rock up and down in his hand. “I’m not coming through,” Alaren promised. The village woman walked up the steps on the west side of the wall, a stone in hand. She handed it to Alaren. He gave her his rock in exchange. They walked back down the stairs, crossed the village and set their stones down on the opposite sides of the village – right where the woman had said a set of walls would at least keep out the wolves. They returned. Picked up another rock. Climbed the steps. “What are you doing?” Shirar’s guard demanded. “Nonviolently, peacefully invading in the name of Shirar,” the village woman answered as Alaren nodded. “What are you talking about?’ the guards exclaimed at the same time. “Each brother will gain a hundred paces from this wall all the way the far edges of the village – where these foolish walls should have been built in the first place. If they had to have been built at all,” Alaren told them. “But, but, it’s not up to us,” the guards spluttered. Commanders were called. Officials came scurrying up to the wall. All the villagers gathered at the base, peering up at the commotion. Alaren brought forth his brothers’ letters in which they stated that they wouldn’t move the wall an inch except into the other brother’s territory. “But who will patrol on this wall?” asked an official. Alaren bit back a sigh. Warriors built terrible walls, invisible ones that divided people’s hearts – but that was a comment for another day. He whistled through his fingers and from the houses of the villagers, the Stone Masons Guild stepped forward, tools in hand, ready to take down and rebuild the walls. As you might imagine, elegant as the scheme was, the officials objected. So, one day, after weeks of arguing, Alaren picked up a chisel and struck the first blow t o the wall. The sound rang out like a bell. 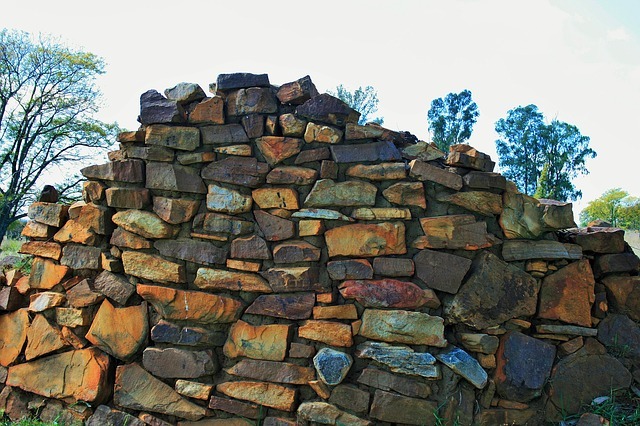 Within moments, the villagers and stone masons ran to the wall and began to tear it down. The officials shrieked and screamed, but the warriors stood back and simply watched the villagers. They didn’t particularly care which side of the village the walls stood upon and frankly, it was a lot of bother dealing with the villagers tromping back and forth across the walls simply because they forgot their knitting basket at their mother’s house. And so it was done. 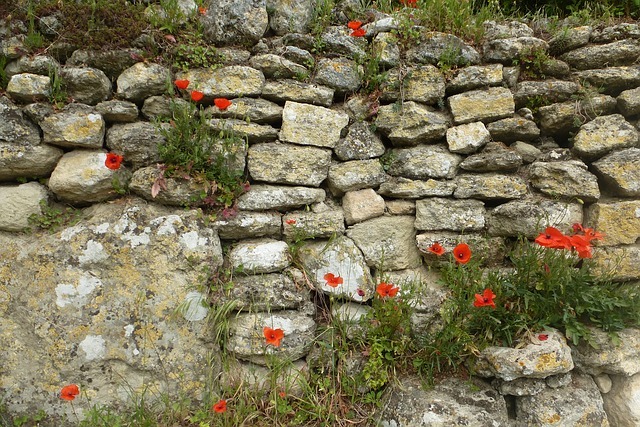 The Brothers Wall was moved, stone by stone, to either side of the village. Over time, the villagers declared themselves to be neither Shirar nor Marin’s citizens, but members of Alaren’s Peace Force. In gratitude for the Third Brother’s help, they announced that they would become a Peace Village. Years later, when the first of the two brothers wars was coming to an end, the peace negotiations would be held in this village. But that, my friends, is another story. If you enjoyed this story, support the series! Find out more here. This fictional story was inspired by the tragic story of walls built along borders around the world . 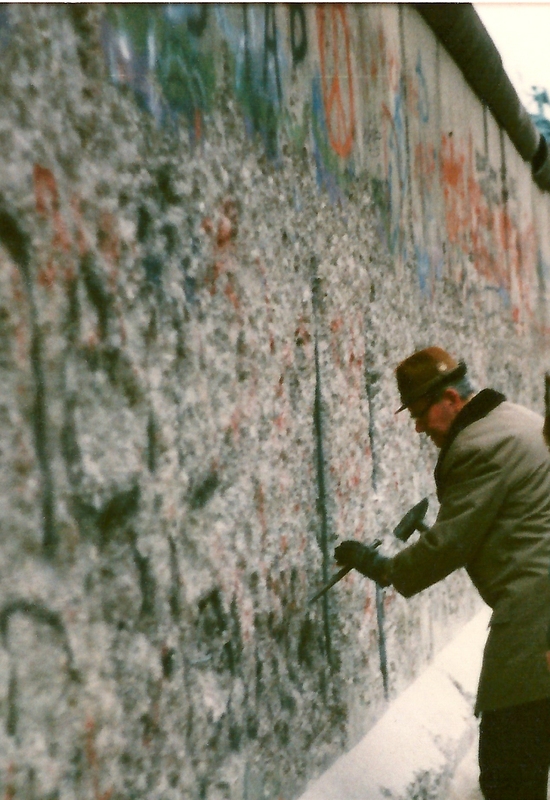 . . and the hopeful story of the fall of the Berlin Wall in 1989. 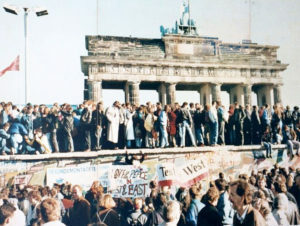 After WWII, Berlin was divided in half when Germany was split into East and West Germany. A long, concrete divider was built through the city in 1961. Many people tried to cross the wall. 5,000 succeeded; 200 were killed. In Alaren’s story, the people of the village used creative nonviolent action to build an alternative to the Brothers Wall. In this folktale, the building of the perimeter walls is not a perfect solution to building peace, but it meets the villagers’ immediate needs of access to the two parts of their home. As with Gandhian Constructive Programs, the building of the solution quickly becomes a direct challenge to the problem. The Brothers Wall holds the stones they need to rebuild the walls in a new place. In the long run, resolving the problem of the division set the stage for deeper peace work, including the formation of a Peace Village and the evolution of the town as the location for peace negotiations. This is a common pattern in peace work and change-making: small steps prepare us for larger goals. Alaren’s story also includes an important type of action: direct action and noncompliance with injustice. Alaren and the villagers refuse to bow to “authority” and accept the wall. Instead, they take tangible actions to create a solution and deconstruct the wall. They rally allies in the Stone Masons Guild and sway potential opponents of soldiers to simply stand aside and let the work of change take place. All of this helped the change take place. What other aspects of this story struck you as important components of the work of peace and making change? All others are from Creative Commons under CC0 License. Support the Commons! Did you enjoy this? Want to see more of these stories? Join the series here.